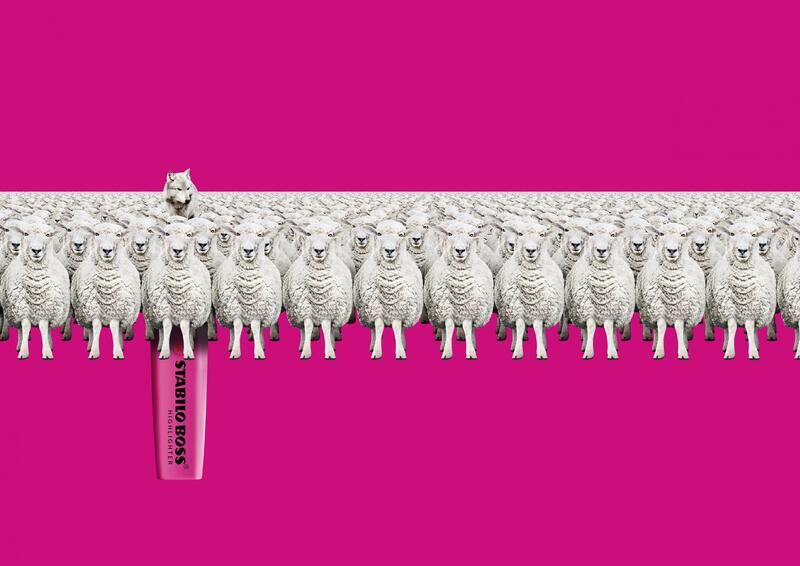 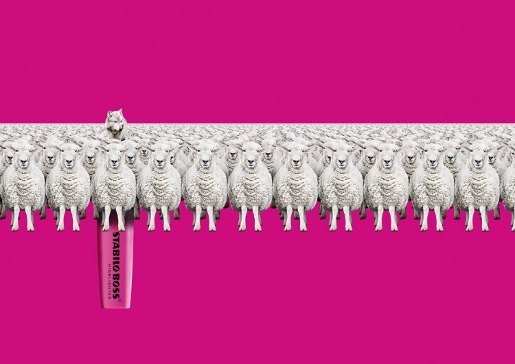 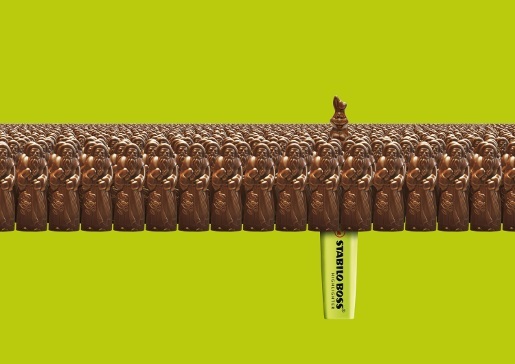 The Stabilo Boss highlighter pen is presented as the way to stand out in the crowd with this print advertising campaign from Germany. 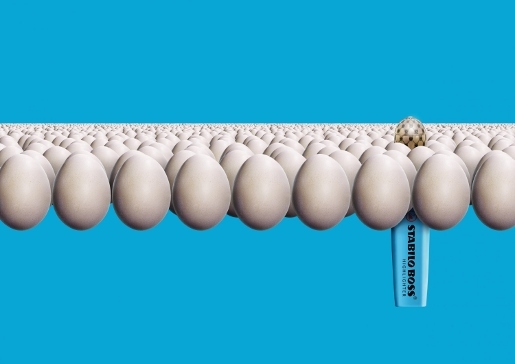 A chocolate Easter bunny stands out in a Christmas crowd, a Fabergé jewelled egg pops up in a sea of plain white eggs, while a white wolf jumps up above the flock of sheep. 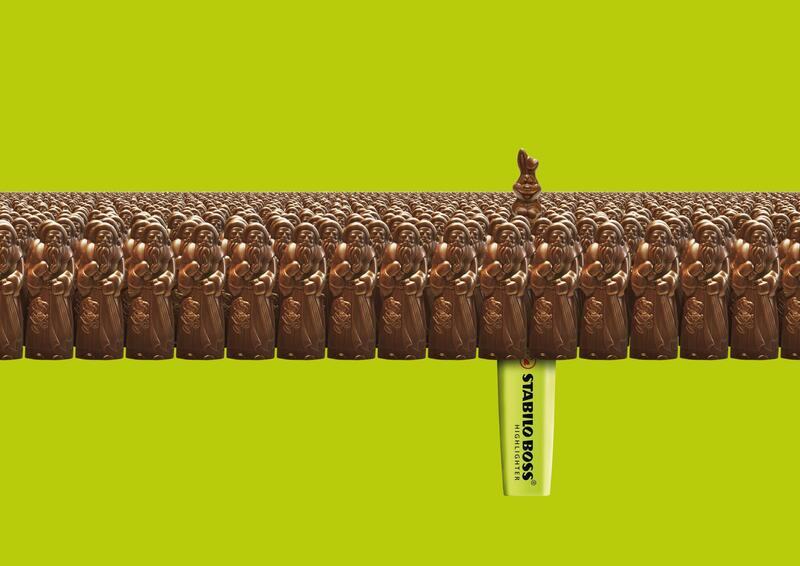 Serviceplan, Hamburg, by executive creative director Alexander Schill, creative director/art director Maik Kähler, creative directors Christoph Nann, Alexander Schill and Axel Thomsen, art director Roman Becker, account managers Laura Doetz and Julia Thoemen, advertiser’s supervisor Volker Wachenfeld, graphic designers Manuel Wolff and Bernd Kächler.